One of our hosted projects has released a tech demo on Mod Db back in December of 2016. If you haven't checked it out yet, you can grab a copy of it here. Not the full release of the game! Today we bring you this small tech demo, so you can see first hand a glimpse of what AM would contain. Idea for this release is to find bugs and issues with different PCs before the final version. Bugs will be expected! We CANNOT guarantee this tech demo will work under WON (and community made variants) and the Xash 3D engine. The same warning goes to people using pirated/cracked/modified/LAN Steam versions of Half-Life. In other words, if you want the best experience of this tech demo, consider using Steam Half-Life 1. Before you go super excited, this is not, by any means, the full release of the game. While that might sound like a boomer, you would have the chance to check out what we've been doing the last couple of years. This is not the first or the last release, but perhaps the most important one in over a decade. 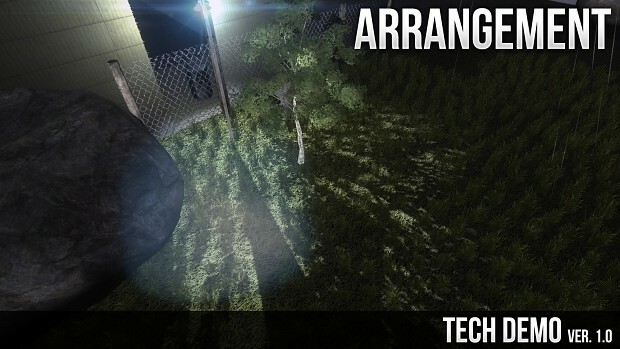 An incredible amount of hours, effort and passion put together by over 50 people to make this mod possible, and today we bring you this small tech demo, so you can see first hand a glimpse of what AM would contain. You can launch the mod via "$SteamLibrary\steamapps\common\Half-Life\AM\Launch.bat"
Just select 'Go to HUB' in game menu. Multiplayer sort of... works, however it's not fully supported. If you are an advanced user, you can host and let other players connect to you. There are a few glitches but it's playable. In the future, the multiplayer version will be tweaked up to a stable point so you can play some random maps in COOP mode, but don't expect new complex game modes. While I tried my best to polish this release, there are still a few issues that will be addressed in the future. Prop lighting can get weird sometimes. Some high definition textures are missing. This could cause some visual quality discrepancy between weapon models, for example. Couldn't enable RainbowOS and the keypad for this version. Will be present on next one. A few last personal words. While AM might not be the best mod out there, it is, of course, a life changing project that shaped my last decade, set my present and will be, forever, the foundation of a successful game dev carreer that gave me amazing things I'd never have imagined. I found my passion, countless friends across the globe and the will to partake other projects, where I found my fiancee. But any of that would have been possible without you. Whoever you are, you beatiful shapeless human, you did choose to write a few encouraging words to a kid, a decade ago and you continued doing so. These words were the oil necessary to burn for years. And now this kid is a men and couldn't be more grateful because this wasn't supposed to happen, but it did, and I just can't be more happy than he is today. So, thank you.